RBL's Foaming Car Wash is the quickest way to wash your car. Utilizing our pressure foamer, the car wash is efficiently applied on the car with no drips. It removes all dirt, grime and contaminants without harming the environment. 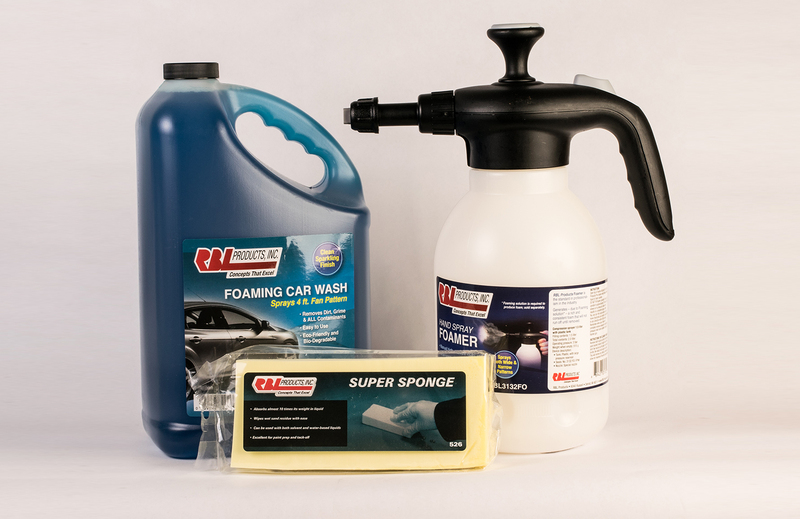 This kit contains our Foamer Sprayer, 1 gallon of Foaming Car Wash, and our Super Sponge.